This vintage styled wooden box is the perfect place to store and look back on your most cherished memories. Keep ticket stubs, receipts, photographs, mementos, and other tokens of your favourite times in this large rustic keepsake box. 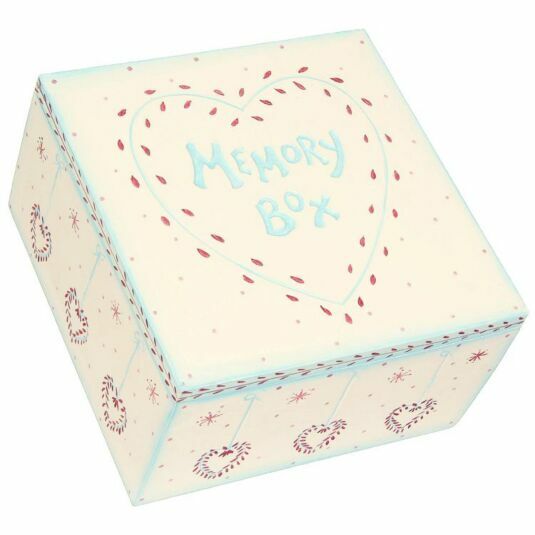 This box is hand-made and hand-painted, and has a hinged lid with text that’s reads “Memory Box” surrounded by a decorative heart. 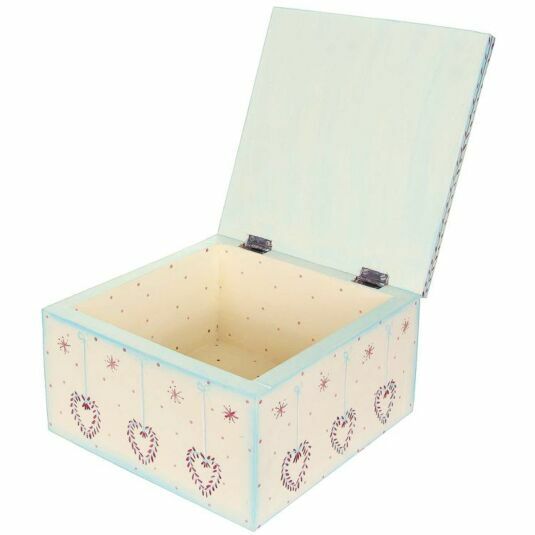 The box is decorated with blue hearts surrounded by red leaves, giving this box a slightly festive feel.